Our King Pin Lock secures the trailer to prevent cab hook up. 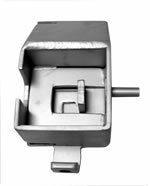 This locking device is made of solid steel and is supplied with a high security Abloy lock cylinder. Our Air Brake Valve-Knob Lock will lock the dash air brake valves to secure set air brakes. This will fit most screw off knobs. Our Glad Hand Cuff Locks will secure the air line between the cab and the trailer and this comes in either plastic or steel construction. Our Gear Down Lock will prevent the raising of the landing gears, constructed of solid spring steel and comes with a hardened steel Cobra Universal PUCK Padlock. Makes the gear down handle inoperable preventing the raising of the landing gears. The PortaBolt locking device will secure trailers and containers using a hardened steel alloy bar together with our patented Universal PUCK Padlock. The RollBolt Locking Device will secure roll up doors used on the back of trailers and/or trucks. Constructed of hardened steel with a hardened steel deadbolt. Fit most roll up doors securing the door from rolling up. 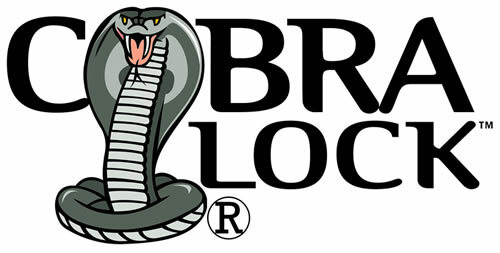 ©2013-2019 Locking Systems International Inc.